This is a resource page of practical information to help those who want to go clubbing but are new to the scene. There is more information here for London than other cities but there are also general tips about clubbing, links to websites which cover the whole country and additional resources for areas outside of London. Thanks to Brian Hird (website: http://bhird.squarespace.com) for contributing the information and photos on this page. - What is the difference between a nightclub, a club, and a DJ Bar? Clubs were originally only open at night but now some places open during the afternoon, or even in the morning (for people that went out at night but didn't want to go home) so now people refer to them just as "clubs". Talking about nightclubs as "clubs" can be confusing because of course there are "clubs" or "societies" for many different kinds of activities. But what we are talking about are places to go out for music and dancing, usually with one or more large dancefloors and a lighting system with strobe lights and lasers, and which serve beer and other alcoholic drinks. The "club scene" is generally divided into clubs with DJs ("disc jockeys" who play mostly electronic music like house and techno) and "live music" clubs with bands - although sometimes a club will have a mixture of both. A DJ Bar is like a club, but is generally smaller and will tend to have a smaller dancefloor and a bigger area for sitting, drinking and conversation. 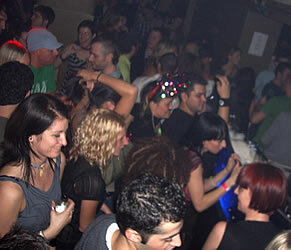 - What is the best way to find a list of the nearest clubs? TimeOut magazine (http://www.timeout.com) is one of the oldest sources of "what's on?" listings. TimeOut covers not just nightclubs but all sorts of entertainment. This includes restaurants, bars, theatres, museums and cinema listings as well as club listings. TimeOut has quite good pages listing clubs in Manchester and Dublin and club events in London. - What is the difference between a club and a club night/club event? In general there is a distinction between the management of a club and the management of the events which occur there. Management of the club refers to management of the actual place (often called "the venue"), the alcohol licence, and management of the bar staff and security staff. The important point to understand is that you generally would want to find out what specific "event" or "night" is happening at a club if you want to know what kind of music is going to be played because the club's management will often arrange to have different types of music on different nights. 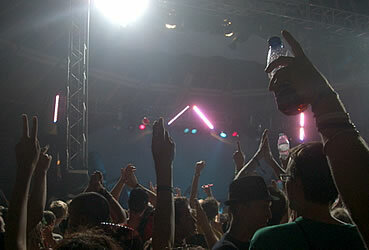 - What is the best way to find a list of club nights or events? As well as TimeOut there are some websites which deal only with clubbing. They provide more comprehensive listings as well as advice on what the best events are each evening. They sometimes require you to register (which is free) and enter some details about where you want to go out, in order to provide a customised list of events. 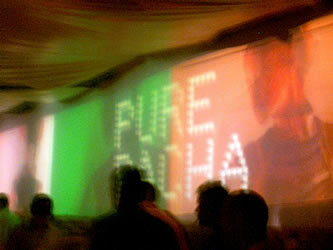 - What are the main nightclubs in London? Heaven and Fire are two of the bigger clubs mostly hosting gay or "mixed" nights - although it should be noted that some notable straight nights have been hosted at Heaven. Mixed nights are nights which welcome both gay and straight party-goers. We've listed a selection of the biggest and most well-known London clubs but of course there are many smaller clubs and DJ Bars in London also, particularly in Shoreditch & Dalston, Brixton and Camden. Vauxhall has historically been a centre for gay clubbing, but is now starting to see promoters of straight events moving into the area. Several new venues are opening up in the London Bridge area creating a concentration of clubs running from London Bridge to Vauxhall. Some people find the major clubs "too big" and a bit intimidating or unfriendly and prefer to go to smaller clubs. You will have to make up your own mind about what type of club you prefer. We have only listed clubs which we think are well known for taking care over the kind of music they play. If you don't really care what kind of music is played - and plenty of people don't! - and what you want is to get dressed up, go somewhere glamourous, stay out late, and maybe see some celebrities - then there are plenty of clubs like this in the West End. ViewLondon.co.uk has a clubbing section with recommendations for different types of club nights - check the "Celebrity Spotting Clubs in London" & "Glamorous Clubs in London" topics - or just "google it!" - What are the best-known clubs in other cities in the UK? - What are all the different types of music? The first two categories are types of Electronic Dance Music (sometimes abbreviated to "EDM"). Wikipedia has a good description of what EDM is and where it comes from. But even within house/techno/electro and hip hop/D&B/R&B/funk categories there is an enormous amount of variation - but there is help at hand! The most comprehensive guide to electronic music we've found is Ishkur's Guide to Electronic Music. This guide has a description of just about every type of electronic music as well as showing how each they are related to each other. Most importantly Ishkur's Guide includes examples of each type ("genre") so you can work out what you like and - perhaps just as importantly - what you don't like. Another essential resource for finding more about "dance music" is the BBC Radio One website Dance Music section. - How much does it cost to go to a club? How do I buy tickets? When are the busy times/days? The cost of entry to a club can vary from nothing (free admission) to as much as £15-£20 depending on the venue, the night of the week. Most club nights will sell advance tickets through a ticketing website such as Ticketmaster or Ticketweb, or through local specialist record shops. 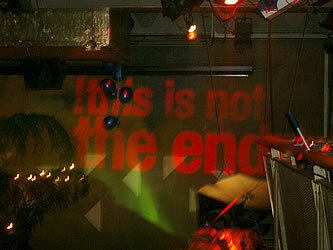 Some of the specialist dance music websites such as ResidentAdvisor and Skiddle also sell tickets. Buying advance tickets has the advantage of usually being cheaper and quicker than queuing up and paying when you arrive at the club ... but the disadvantage is that you will have to get yourself and your friends organised in advance. Depending on what night of the week it is and how popular the event is, queuing to pay at the door may take no time, 10 minutes, or even an hour or longer. Some clubs have student nights which will be cheaper if you have student ID. The busiest nights are Friday and Saturday nights. Many clubs don't open until 10pm and remain open until 4am, 5am or even later. DJ Bars tend to open earlier and close earlier - people often go to DJ Bars to meet their friends for a drink before going to a club for the rest of the night. There is a good chance - except for a few very busy events - that if you arrive just after a club opens there will be little or no queue and you will be able to get in without waiting. 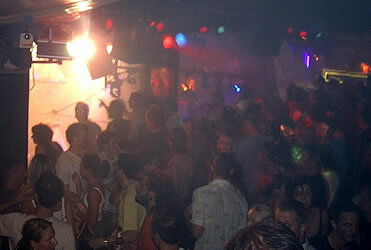 Clubbing on Sunday during the morning ("afterparties") or on Sunday afternoon and on Sunday evening - has become increasingly popular in recent years. However except for a few events these are rarely as busy as Friday or Saturday nights. - How do guestlists operate? What is the advantage of being on one? There are usually 2 types of guestlist at an event - free entry, and concessions. Concession guestlist usually means paying a reduced price rather than free entry. The advantages of guestlist - apart from free or reduced entry price - are usually things like access to the VIP area and the ability to enter later than when booking advanced tickets. 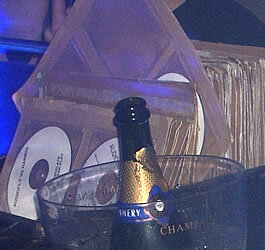 Some "West End" clubs require all their customers to have made an arrangement to be on a guestlist. If you don't know people who are connected to "the scene" (dj's, promoters, club staff or their friends) that will put you on their guest list, you can find out more about getting onto a commercially organised guestlist from websites like clubplanet or londonparties. They'll also give you information about dress codes. - What age restrictions are there? Most clubs have a policy of restricting entry to those over 21, although for some events the age limit is 18, which is the minimum legal age to purchase alcohol. However these rules are rarely enforced unless you look obviously younger than the required age - although again the "West End" clubs are much stricter about this. If you are asked for ID a UK passport or driving licence with photograph will always be accepted. The government-supported 'CitizenCard' scheme is also frequently accepted. National Union of Students membership cards are sometimes accepted - it depends on the club. Official national ID cards from other countries are usually accepted if you are not a UK resident. Ultimately however entry to a nightclub is always up to the club's management - they can decide not to allow you to enter without giving any reason at all. - What can I wear? Dress codes vary. Most "music-oriented" clubs don't care too much what you wear. Casual clothes - for example, nice jeans, trainers & a t-shirt - are fine for guys and girls, although girls will often "dress up" in their best clothes anyway. Occasionally events have a "fancy dress theme" - at Halloween, for example. If that is the case then you may not get in if you have not made any effort to dress appropriately. Some of the "West End clubs" we referred to above have stricter rules (no trainers or no t-shirts, for example) - refer to the websites listed in the "West End clubs" section for advice about dress codes for the different clubs in this category. - Do you have any tips about getting served at the bar? - Are there any rules about how to socialise in a nightclub? The only real rule that applies in nightclubs is that you should not annoy others - just relax, have a dance, meet new people and enjoy yourself. Smoking in nightclubs is against the law; however all clubs will have arrangements to allow people to go outside to smoke, often in a supervised area, and then re-enter the club. - Are drugs sold or used in clubs? If you go to nightclubs frequently you will at some point meet people who are selling drugs. We would recommend you NOT to deal with these people. Please remember that possessing drugs is against the law and can get you into serious trouble. The government's drug information website is TalkToFrank. The government-funded UK charity Drugscope has a page that provides answers to many Frequently Asked Questions about drugs. - How can I avoid the danger of my drink being spiked? "Spiking" is when somebody puts some kind of drug in your drink without your knowledge. Girls in straight nightclubs (or men in gay clubs) should be particularly aware of this. To minimise the danger of somebody doing this always keep your drink with you and don't accept drinks from people that you don't know - unless you're standing with them at the bar and get the drink directly from the bartender. If you start to feel unwell in a nightclub you should immediately tell your friends and a member of staff at the club. - What can I do to reduce the risk of losing money or valuables? Almost all clubs will have a cloakroom or coatcheck facility where you can put your coat or or bags for the evening, although we would advise you not to leave anything too valuable in the cloakroom. Keep the ticket somewhere where you won't lose it, and remember to collect your stuff before you leave. - The music seems to be played very loud - is it safe for my hearing? - How can I get home safely afterwards? Most clubs will have have an arrangement with an "official" local minicab company who will have minicabs for hire waiting outside. These should be safe, although they often try to charge more than the usual price. For safety reasons definitely avoid unlicensed minicabs which often also wait around outside clubs. In London you can use the Transport For London Cabwise scheme by texting HOME to 60835* (cost is 35p plus standard text message rate). You will be texted back the numbers of one taxi and two licensed minicab firms who are operating in the area you are texting from. You can use Yell.com (online Yellow Pages) to find local minicab companies in other areas. In London and other cities where metered cabs (including black cabs) operate it is cheaper to take one of these if the journey is not too far, providing you can find one. The third option is to use regular public transport which usually starts around 5am. Remember that the last Underground trains are usually a little after midnight in London. Between these times you can use the night bus system although this is often quite slow and you may have to wait a while for the bus that you want.